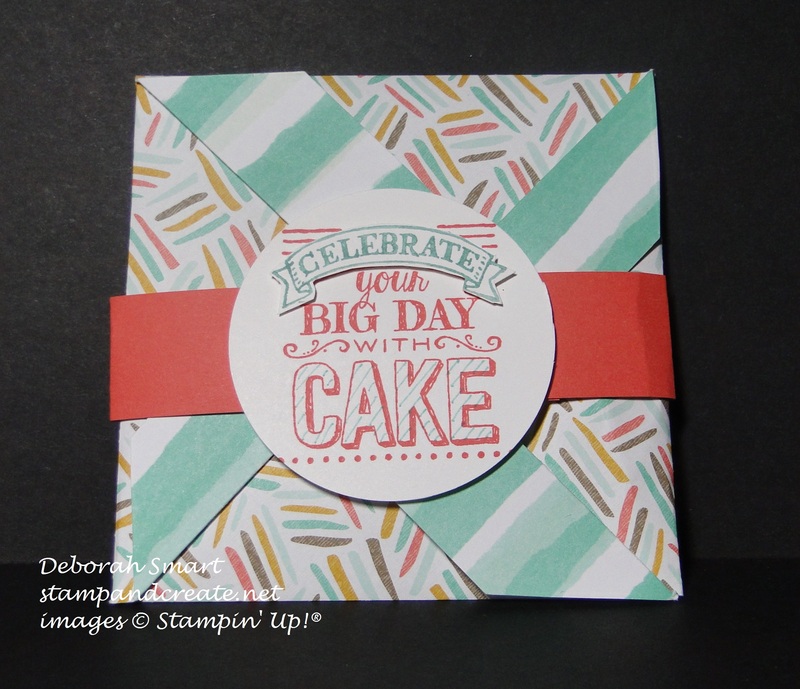 Hi stamping friend! I hope you had a great weekend. We actually had some snow here – not too surprising, but it doesn’t usually ‘stick’ this early in the year! Lots of snow on the mountains, though – skiers will be loving it! Anyway, I thought I’d share another card from my friend’s card swap – it’s the Pinwheel fold revisited! The belly band comes off, the flaps open up, and voila! A stamped greeting inside! 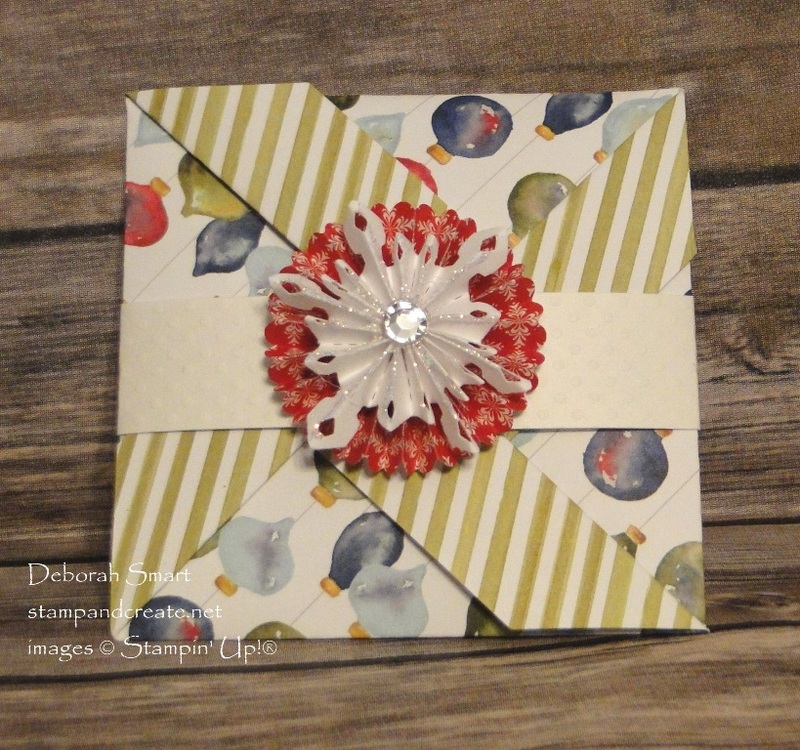 There’s plenty of room to write your salutation, and this fold will even accommodate a gift card, or cash inside. This next one was created by a friend, Kathy, from the card swap. She used retired holiday paper, and embellished the belly band with an adorable snowflake! These would be perfect little gifts for a coworker or hostess; just tuck a gift card, or flat chocolate (like a Ghirardelli square) inside! Be sure to check out my Tutorials page, here on my blog! I’ll add this one, for the Pinwheel Fold. 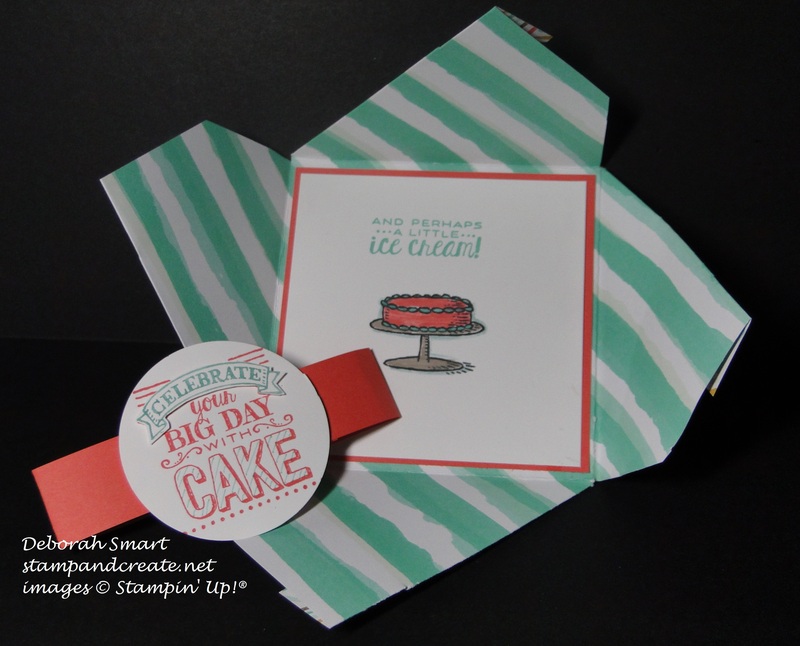 While the papers and stamp sets used in the tutorials may now be retired, you can still use them, and just change up the products you want to use! Find a tutorial you want to use? Need some more supplies? No problem! Just click on my signature below, and you’ll be taken to my online store. It’s open 24/7, so whenever you’re feeling crafty, you can shop! Previous Previous post: Have You Noticed My New Look! Beautiful job Deb. I tried one of these once and was not happy with the outcome. Yours is much better! !